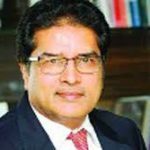 Raamdeo Agrawal is normally a very cheerful and easily accessible person. You can walk up to him at any time and place, exchange pleasantries and even ask for a stock recommendation or two without any fear of being rebuffed. However, nowadays, Raamdeo Agrawal has an extra spring in his step and a wider smile on his face. The reason for this is the fact that Raamdeo has recently netted a magnificent 100-Bagger (10,000%) gain. 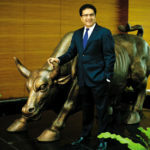 Raamdeo has reason to be proud because he has been relentlessly preaching the techniques of finding 100-bagger stocks. 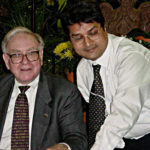 His treatise “Motilal Oswal’s 19th Wealth Creation Study” is a bible on the subject. 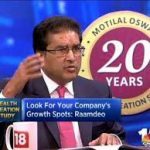 Raamdeo and his team at Motilal Oswal have not only explained the entire theoretical aspects of finding 100-Bagger stocks but have also identified seven stocks that are exhibiting the characteristics of 100-Baggers. 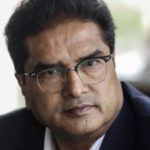 At the time of the release of the 100-Bagger study, Raamdeo Agrawal (and Ramesh Damani) lamented that despite their 24×7 vigil and long innings at the stock market spanning several decades, neither had been able to snare a 100-Bagger stock. The veterans explained that though there have been several 100-baggers in the Indian stock market no single investor has had the patience to hold them through numerous trials and tribulations. Raamdeo Agrawal can no longer have that grievance. We saw a few days ago how his brilliant investing skills had drawn him to ‘AU Financiers’, a little known company, and enabled him to convert a paltry sum of Rs. 50 crore into a gigantic fortune of Rs. 5,000 crore. First 100-bagger shareholder in India? Raamdeo may be the first of the savvy investors in India to snare a 100-Bagger stock. Even abroad, very few of the legendary investors can boast of a 100-Bagger in their portfolios. Tom & David Gardner of Fool.com are amongst the handful to have been blessed with a 100-Bagger in the form of Amazon.com. They explained how everyone had “big doubts” as to whether e-commerce would ever work and most shareholders bailed out. In fact, the stock price did slump and gave up all of its gains before it rebounded and achieved 100-bagger status. The journey spanned 16 long years and was a real test of patience and conviction, the duo said. (iv) Longevity of the opportunity to make high profits: Check the longevity of the story. Is it a passing fad or is it here to stay for the next ten or twenty years. Can the stock be the next McDonalds, Dunkin Donuts, Walt Disney and be a never ending franchise or will it be something as ephemeral as Orkut which can go out of fashion with teenyboppers? (v) Vanquish the competition: Will the Company be able to withstand the onslaught of competition? It is obvious that any business generating high returns of capital will attract competitors the way honey attracts bees. Does the company have the wherewithal to combat rivals in the market place and emerge victorious? Raamdeo gave the example of Asian Paints to illustrate his point. The business has longevity because people will need paint forever. The Company has been able to stave of competition thanks to its distribution strength, strong brand image, goodwill etc. What about valuations Of the stock? Raamdeo Agrawal maintained a conspicuous silence regarding the valuations of the stock. The reason for this is obvious. When one has homed in on a micro-cap transitioning into a mega-cap, the last thing one wants to do is squabble over the valuations. Instead, one has to aggressively grab the stock at whatever is the asking price and sit tight. Now the all-important question is as to which are the stocks that meet the criteria outlined by Raamdeo Agrawal? My view is that there is no point in novice investors like you and me venturing into the wilderness on our own because there is a grave risk that we will lose our way and get waylaid by the highway robbers and be deprived of our meager savings. Instead, the better strategy is to piggyback on the broad shoulders of eminent and trusted Gurus and shortlist from their selection of stocks. Under the benign guidance of Godrej, the blue-chip behemoth, Astec Life Sciences, which is presently a minnow, has a good chance of transitioning into a mega-cap. The Chokshey family have the illustrious track record of creating incalculable wealth for shareholders in Asian Paints. Can they repeat the feat in Apcotex which boasts of a monopoly product in Omnova? This company manufactures a virtual monopoly chemical product which is used in the manufacture of radial tyres. As the usage of radial tyres becomes more prevalent, Oriental Carbon could enjoy increased demand for its products. Few companies can boast of being mentored by more illustrious leadership than Billionaire Prem Watsa, the ‘Warren Buffett of Canada’. 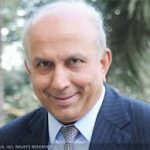 Prem Watsa is himself a Chemical Engineer. His technical knowledge coupled with his business acumen could catapult Adi Finechem into a higher growth trajectory. This little known micro-cap has a long track record of growth and profitability. The expansion plans imply that the Company is now spreading its wings and could grow in scale. When we say operating cash flow should be positive does it mean operating cash flow before adjustments (like inventories, receivables, payables) or after adjustments? It is better to look adjusted cfo..
To get a clear picture..
A porential future 100 bagger, which will be talked like above 5 stocks , after few Qtrs will be The only listed Gold Mining company in India ” Deccan Gold Mines Ltd. “. Mark my words …..
For Deccan Gold, I agree but do not understand why these experts are not covering the stock. Is it because they see only the numbers first and not the product? one gram they produced? then that revenue should be in the income column na?? ?